Union Rural Development Minister Jairam Ramesh Saturday said Congress vice president Rahul Gandhi needed to apologise to the Muslim community for his remarks that Muslim youth were wooed by Pakistan's Inter-Services Intelligence. "His (Rahul Gandhi's) intention was not to malign any community. 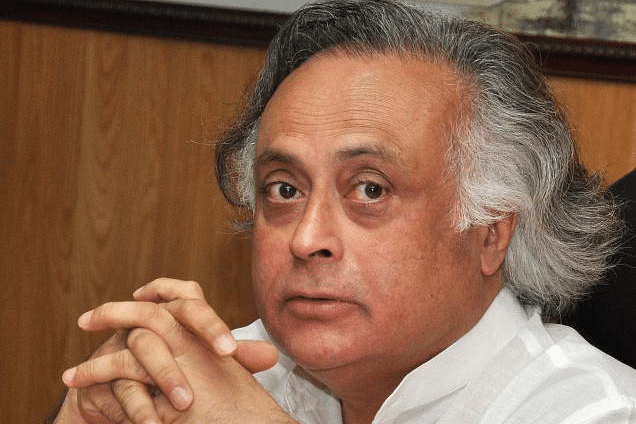 But it was blown out of proportion by the media and Congress adversaries," Jairam Ramesh said during interaction with reporters from the Urdu media at the Islamic Cultural Centre in the national capital. The Congress vice-president had made the remarks at an election rally and was referring to Muslim youth affected by the violence in September this year in Muzaffarnagar district of Uttar Pradesh. Minority Affairs Minister K. Rehman Khan and Minister of State for Parliamentary Affairs Rajiv Shukla were also were present at the event. The Minister said Rahul Gandhi is secular to the core and that no one can doubt his credentials in the matter. "He is genuinely concerned about minorities, weaker sections, Dalits and deprived classes." Ramesh said. He added that secularism in the country faces challenges from divisive forces and warned that the Rashtriya Swayamsevak Sangh (RSS) was out to turn the country into a Hindutva Rashtra. Ramesh said that the BJP was trying to make the elections a matter between clashing personalities and said India is a parliamentary democracy not a presidential one where two people fight it out for the top post. The Minister reminded reporters that regional parties too had a role to play in deciding who would come to power. He said that while the Bharatiya Janata party was largely confined to India's cowbelt, the Congress had a pan-nation base. He said that whether communal violence or natural disaster, those affected should get relief. He said the centre had released Rs.250 crore to Assam for riot-affected people, but Uttar Pradesh had not approached the centre with a request for relief to the violence-affected people of Muzaffarnagar. K. Rehman Khan said the Uttar Pradesh government had implemented almost all recommendations of the Sachar Committee for the uplift of minorities. He admitted, however, that there were lapses in implementation of schemes for minorities, which have been corrected.